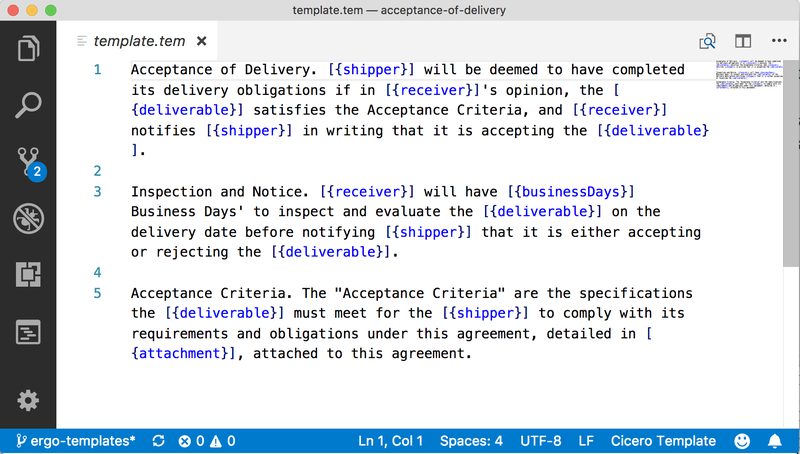 Create templates for executable natural-language legal contracts using Open Source Cicero template technology. Write executable business logic for legal contracts using the Ergo domain-specific language. 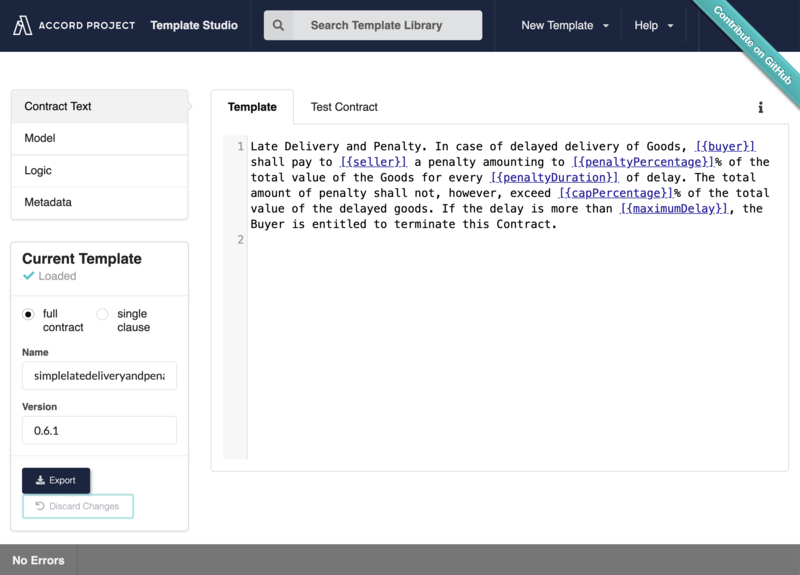 Use Open Source contract templates from the Template Library. Use Open Source data models from the Model Repository to ensure interoperability. Use Open Source tools and standards from the Accord Project to digitize new or existing legal contracts, connect them to web services and deploy them to the cloud or a blockchain platform. 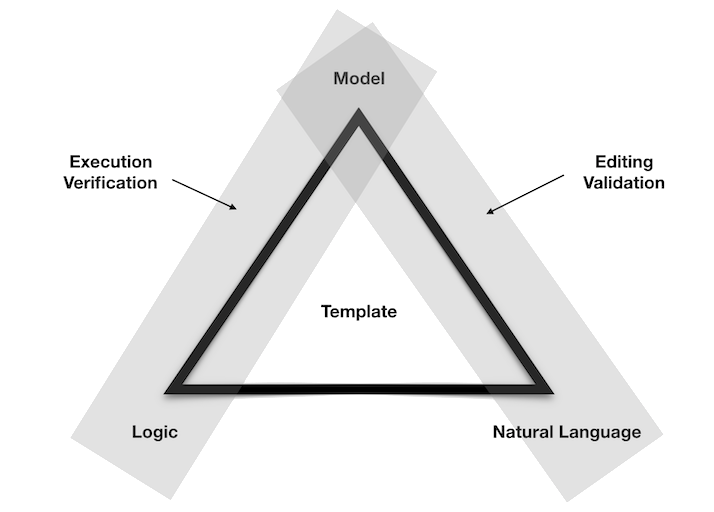 Cicero templates are composed of three elements: the Template Grammar (the natural language text for the template), the Template Model (the data model that backs the template), the Logic (the executable business logic for the template). When combined these three elements allow templates to be edited, analyzed, queried and executed. Bind natural language clauses and contracts to their data and logic through a template grammar. The template model defines the structure of data that are used in the natural language and logic. 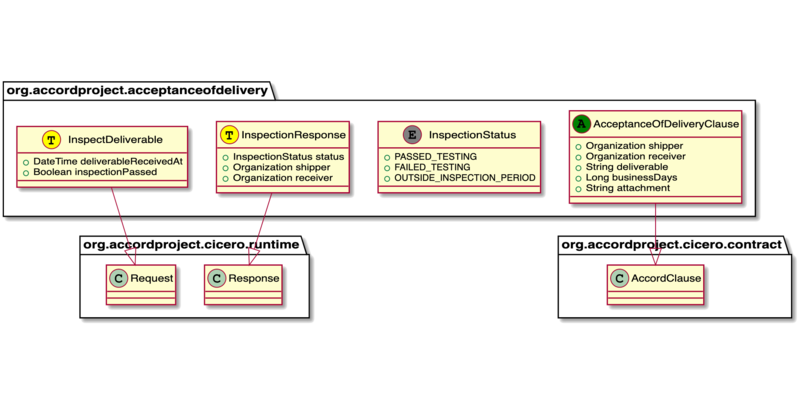 Accord Project templates use the Composer Concerto Modeling Language. Ergo is a strongly-typed domain specific language designed to capture computational aspects of legal contracts and clauses. Use Ergo to create safe Smart Legal Contract logic. You can try Accord Project templates in the template studio. Search for existing templates, edit the contract text and execute the logic! 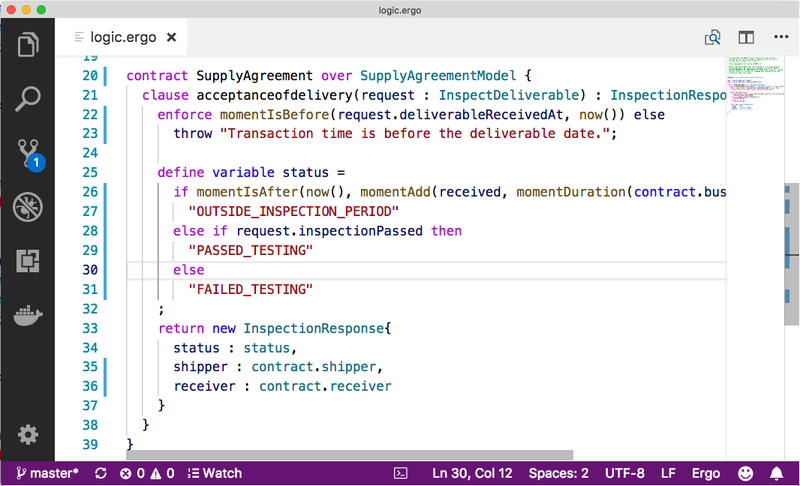 Experiment with changes to the natural language or logic and see how it affects the contract's behavior.